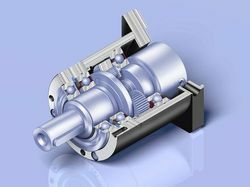 Our range of products include servo gear boxes, extruder gear boxes, planetary gear boxes, shaft mounted gear boxes, reduction gear boxes and reducer gear boxes. 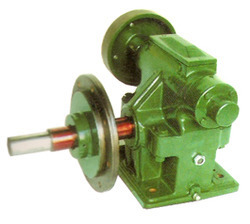 With our rich industry experience and knowledge, we are engaged in offering high quality Servo Gear Boxes that are used for power transmission. These find their uses in wind turbines, agricultural, industrial, construction, mining and automotive equipments. The offered gear boxes are manufactured using high quality materials with the help of latest machines. In addition, we provide these in different specifications as per the needs of clients at marginal price. Fostered with a team of highly experienced professionals, we have been able to offer Extruder Gear Boxes. These gear boxes are best suited for transmitting power in order to reduce frictional force. The offered gear boxes are precisely manufactured under the stern guidance of our adroit team by utilizing advanced techniques and other allied materials. Our valuable clients can avail these in different specifications at industry leading price. Our valuable clients can avail from us a wide assortment of Planetary Gear Boxes. These are widely used in steel, sugar plants, textile industry, construction, conveyors and bottling plants. Manufactured as per the set industry norms by employing quality approved raw material by our skilled team, these are checked on diverse quality parameters by highly deft experts. We offer these in various specifications and can be purchased from us at affordable price. With the support of our sophisticated manufacturing unit, we are involved in providing our clients with a wide range of Helical Shaft Mounted Speed Reducers. The range offered by us is developed under the guidance of our expert professionals who ensure that the reducers delivered by us are at par with industry standards. Along with this, they ensure to offer customization facility in accordance with the clients specifications. 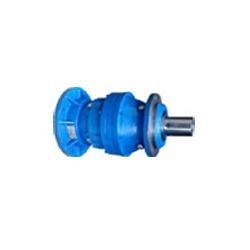 We are among the reputed supplier and manufacturer of superior quality Planetary Reduction Gear. The offered gear range has been made from best quality metals and the dimensions of this range are as per the industrial standards only. Clients can avail this gear from us in a wide variety of specifications. This range is highly resistant to abrasives, corrosion and high-grade performer. 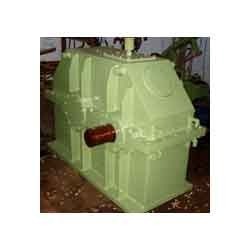 Our clients can avail from us an exquisite range of speed Reducer Gear Box, which is manufactured employing cutting-edge technology and excellent quality material. These are strong in designs and offer resistance against temperature variations. Our products are defect free and also available in customized dimensions as per specifications, demanded by the clients.